Charlock is extremely common on the edges of arable fields. It's an annual, but in the recent milder winters in England, it is starting to over-winter, and can therefore be picked when there's not a lot else around. It's quite OK to eat, but nothing exciting. Raw, the young leaves and flower buds are quite acceptable in a mixed salad. The older leaves are all quite rough with bristly hairs. I suppose you'd not notice this much in a mixed salad, but we find a lot more pleasant plants around. You can cook it, when the hairy nature goes, and use it as a green vegetable. Pleasant and quite eatable, but nothing really exciting. 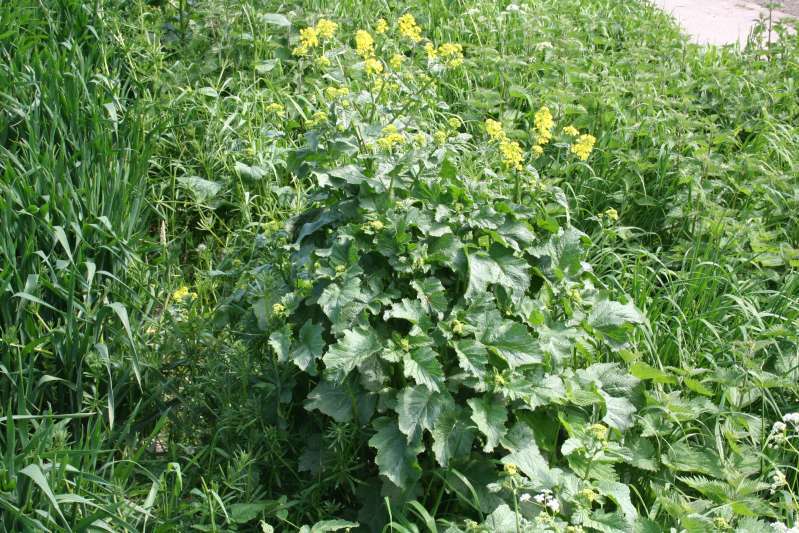 There are several very similar plants such as white mustard which can be eaten in the same way.